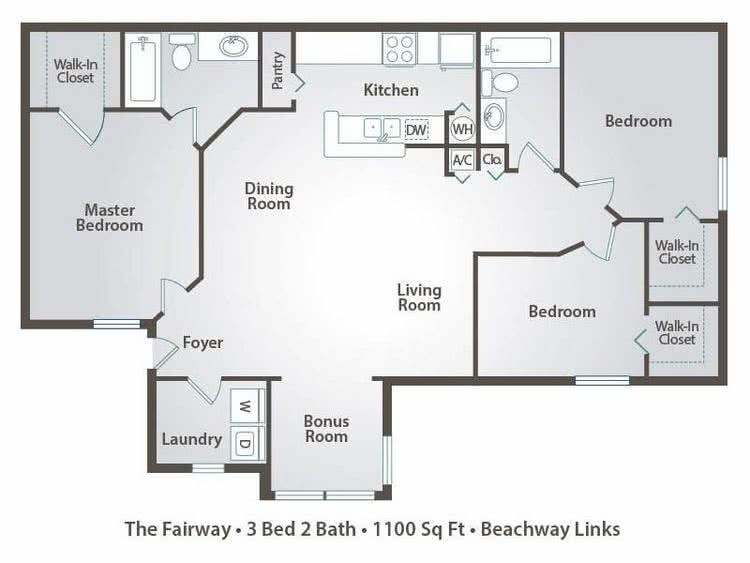 The Fairway is the largest of our floor plans and is a three bedroom two bath apartment for rent in Melbourne, FL. All three bedrooms have large walk-in closets with plenty of storage space! Also included is a laundry room with a full sized washer and dryer. Use the bonus room as an office or for a formal dining room! Choose a first floor for wood-style flooring or just enjoy the features such as updated cabinets, light fixtures and ceiling fans. It also comes with a brand new over the range microwave!